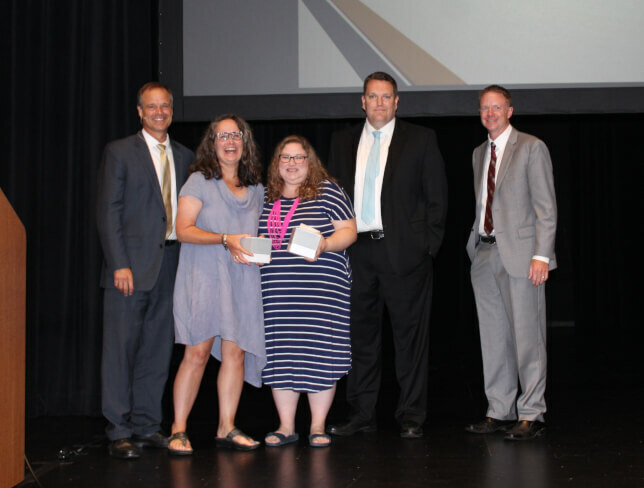 The 2018 Innovation in Education Award was presented to Maggie Bandstra and Celine Nienhouse, art teachers of South Elementary. They were nominated for their work with students in creating a 2017 Art Prize entry entitled “You Be You”. Students painted rock fish in a variety of patterns and colors representing the uniqueness of each child. The entry was awarded a $5,000 cash prize as a winner of ArtPrize’s new Youth Collaboration Award.